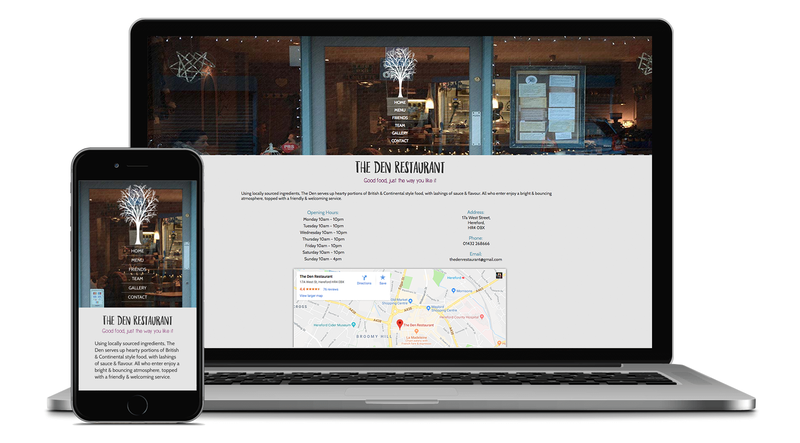 Jade, the owner of The Den Restaurant needed a website to help promote her rapidly growing local business. During its first year the restaurant quickly became very popular in Hereford, however it severely lacked an online presence. After a variety of contrasting designs were drawn up, Jade and I decided to take a more modern approach, diviating from the rustic layout we'd originally opted for. 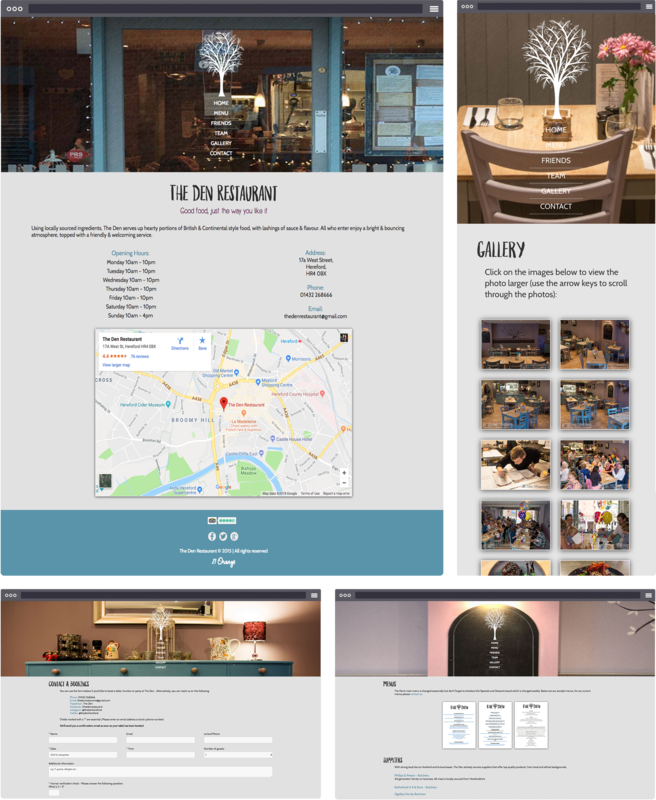 The final website features bold header images coupled with a simplistic design, perfectly mimicking the restaurants attitude, whilst also being completely responsive.